The six-episode Hulu comedy series “Shrill,” based on Seattle author Lindy West's book of the same name, has been filming in Portland this summer. It's due to debut on the streaming service next spring. PORTLAND, Ore. — On the set of an alt-weekly newspaper newsroom, Annie (Aidy Bryant, “Saturday Night Live”) strides purposefully toward her boss, Gabe (John Cameron Mitchell, “Hedwig and the Angry Inch”). It’s a scene from the season finale of the six-episode Hulu comedy series “Shrill,” due to debut on the streaming service next spring. 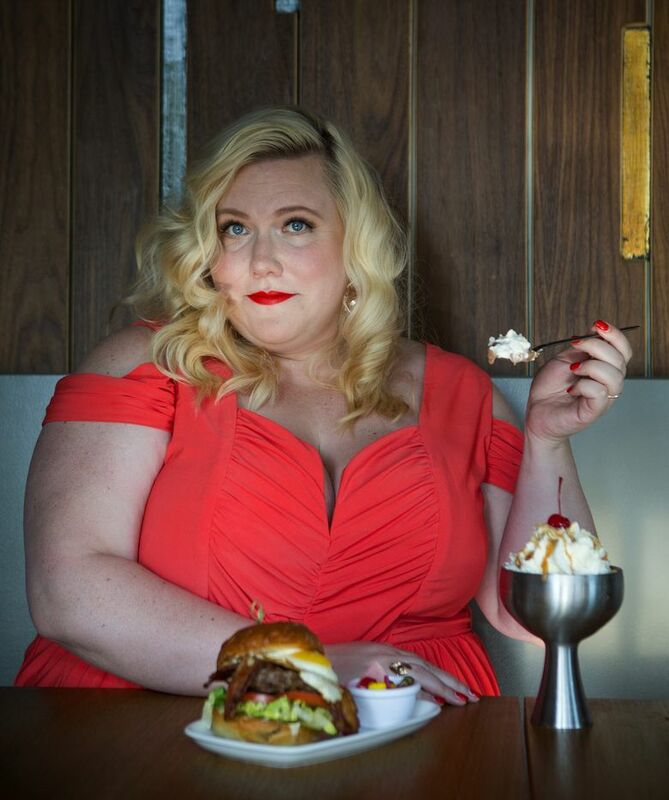 Lindy West, former writer for Seattle alt-weekly The Stranger and author of 2016’s “Shrill: Notes from a Loud Woman” on which the series is based, watches the action on a video monitor one floor up. The Annie character is inspired by Lindy, but West is quick to say “Shrill” is not a straight-ahead autobiographical show. For starters, it’s set in Portland instead of Seattle. “We wanted to shoot here and as we got started in that process it just seemed to make more sense to not have to shoot around Portland and use the natural beauty of Portland, the landscape and the vibe of Portland instead of trying to make it seem like it could be Seattle,” she says. “Also, there are legal reasons if you’re adapting something from real life to make it less like real life, which is a relief for me because I am a real person who has to deal with her real family and real friends and real acquaintances. And just as Annie is not exactly Lindy, West says Gabe is not exactly Dan Savage, even though both are gay and Gabe is editor of the show’s The Weekly Thorn alternative newspaper. “He’s all of our mentors,” says West of the Gabe character with an assist from showrunner Ali Rushfield (“Friends from College”).